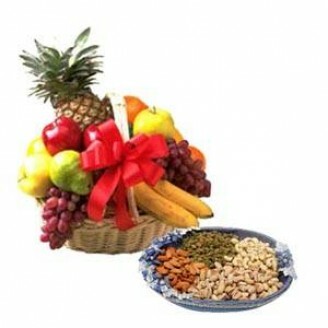 200 grm each of kaju, Badaam, Pista, Kismiss in a thal and 300-400 grms each of 7 types of Seasonal fresh fruit in a basket. It can be customized as per your wish. Pls call us at +91 9654 66 3355 to customize.